PR15 PIC South Peak Mysteries is a 17.2 kilometer lightly trafficked out and back trail located near Lajes do Pico, Azores, Portugal that features beautiful wild flowers and is rated as moderate. The trail is primarily used for hiking and nature trips and is accessible year-round. The trail "Mysteries of the South of the Pico" begins in the Forest Park of São João, passing through two Mysteries (São João and Silveira). The name "Mysteries" refers to the lava fields arising from the historical eruptions that occurred on the islands, for which the inhabitants had no justification, thus being mysteries of Nature. Follow the dirt road to the right of the barbecue area. Enter immediately on the dirt road on the left. This path takes you to the tidal well of Baía do Arruda (on the left). 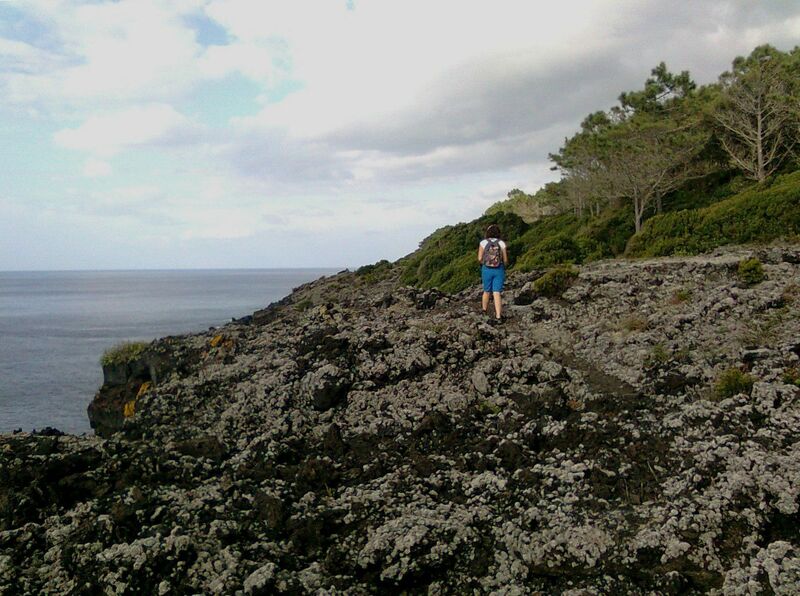 Follow this path and you will find the leisure and bathing area of ​​Ponta do Admouro. Go down the stone staircase to the recreation area, and return to the main access road, following the right. Further on is the Verdoso tidal well. Go down the steps and, beyond the tidal well, you can enjoy access to the sea. Return again to the path, and continue to the bathing area of ​​the Arinhas. Further ahead is Casa do Pico and the Pico Cheese Museum, properties of Alvião. Follow the road on the right, and you will find the Church of Saint John and the chapel of the Holy Spirit Empire. Continue on the path next to the sea, following the Old Path (standing-station), which takes you to the Ponta Rasa Mill. Take the right towards Lajes. Further ahead, enter the dirt road on the right. 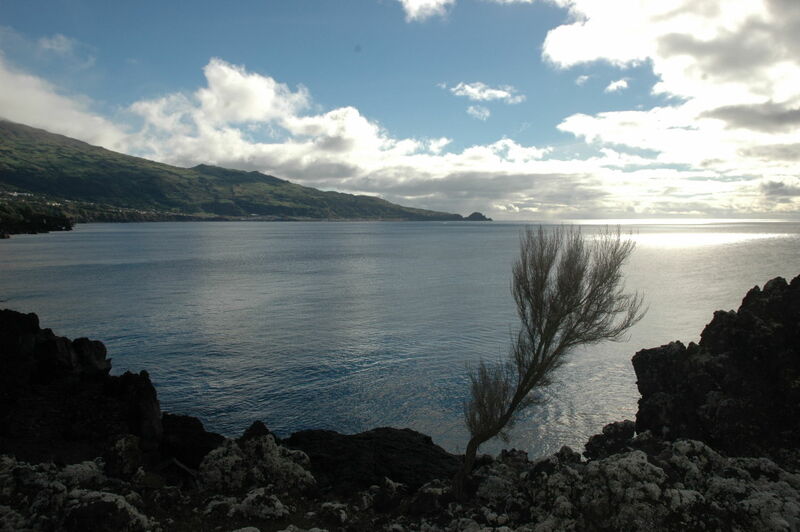 This zone is denominated Mystery of Silveira, consequence of volcanic eruption of 1720. Follow the road of beaten earth, entering a sidewalk of coast. Go back to the road and later you will find the bathing area of ​​Fonte. This site is widely recognized for its unique water features. Continue along the path by the sea, and you will find the Rego tide well as well as a small leisure area. After passing a tourist village, make a detour to visit Canada Pau Rodrigues. 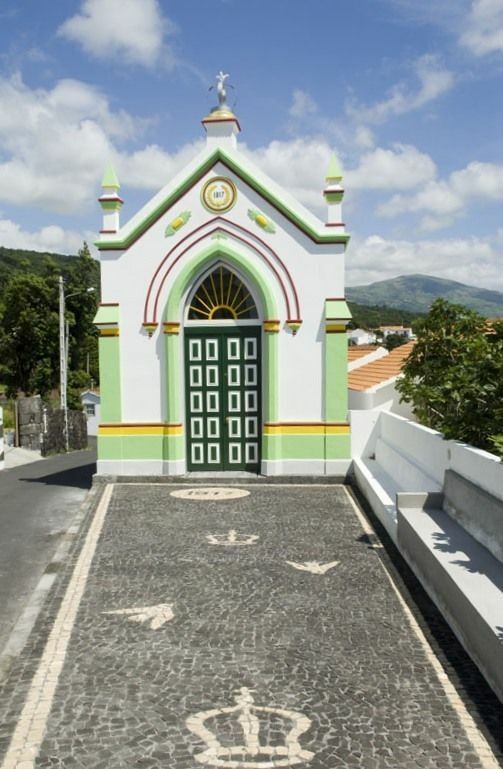 Upon reaching the Regional Road, turn right and finish the trail next to the Chapel of the Holy Spirit, erected in 1723, following a promise made so that the volcanic eruption of 1720 did not reach the place of Silveira.